- Viewing Area Dimensions (width x height) : 18 11/16" x 11 11/16"
* Find the right privacy filter for your screen. (Step 3) Find your filter : Use the measurements to select the right sized filter for your device from the products listed below. *** Best fit tip: if you don't see a filter that matches your measurements, select a filter that is smaller (for Frameless) or larger (for Framed), yet closest to your measurements. 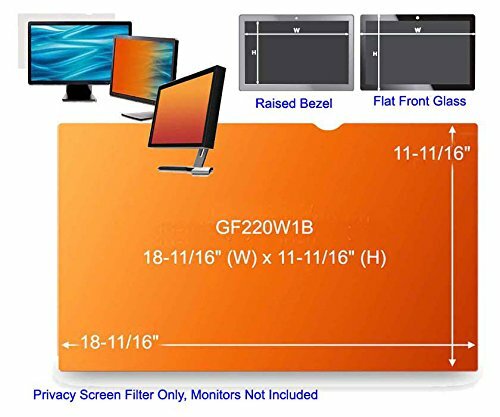 3M Pf24.0W9 Privacy Filter For Widescreen Lcd Monitors (16:9) . 24" Lcd "Product Type: Accessories/Screens & Filters"